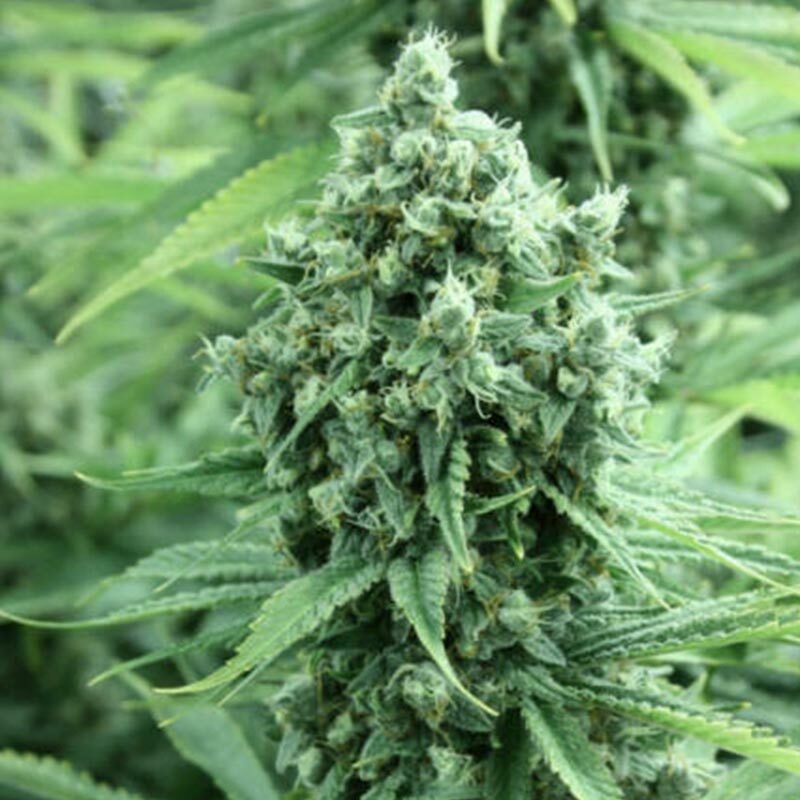 The renowned Trainwreck cannabis seeds strain is fused with the classic Sour Diesel and then it’s finished off with a healthy dose of Thai in this high-yielding variety. Dense resinous flowers are accompanied by very little foliage, which leaves more ventilation to defend against mould and mildew. Commercial producers, as well as connoisseurs, will appreciate the complicated layering of flavors and a gigantic load of crystal-covered colas. Dazy Jones flowers in around just 8 - 9 weeks and responds greatly to the sea of green cultivation; a greenhouse is recommended for outdoor growers who are battling with short flowering seasons, and this awesome plant also gives you a very high yield too, making it an all-around first class strain. To summarize, if anyone is looking to hit all checkpoints in just the one strain, then this could be the one for you which you can rely on, with its mold/mildew defense, massive yield, delicious flavors and those gorgeous sparkly crystals this is an all-in-one perfect package for that spot on cultivation!